Are you curious about how to get the 25% discount on all EQ single products? Read this article to be aware of all savings on Eqology vitamins, minerals, and cosmetics. All you need to do is obtaining our EQ Pure Arctic Oil Premium plan. Ready? Let’s start! The first thing you need to check when going on eqology.com is “Our products” tab. Click on the first line called “EQ Pure Arctic Oil Premium”. The page will redirect you to our online shop with various Premium plan capabilities. As we recommend a double dosage of EQ Pure Arctic Oil during the first 2 months, therefore, in this set you will receive 3 bottles of EQ Pure Arctic Oil for two first months of usage. 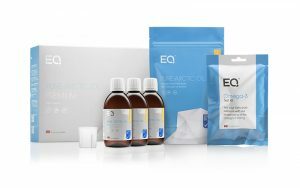 Moreover, here you will find 2 EQ Omega-3 Test Kits which you receive during your 1st and 5th subscription month. We also add EQ Travel Pouch with 15 sachets inside – every 10 ml, which will be perfect during travelling or sharing with your family and friends. Besides that, set includes a dosing cup for accurate measuring of the daily dose. Note: you cannot use a utensil with a dishwasher machine. You will receive the rest bottles of EQ Pure Arctic Oil via auto-order each month per one bottle. The cost of an additional bottle of EQ Pure Arctic Oil per month is 35 EUR. 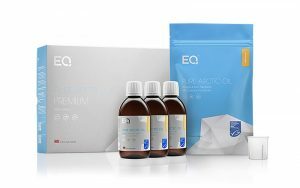 This Premium subscription differs from the previous one only by the amount of EQ Omega-3 Test Kits, here you receive one test within a 5th month after EQ Pure Arctic Oil usage to check the changes. 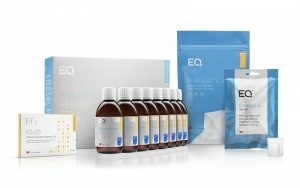 In this set, there are no EQ Omega-3 Test Kits included. 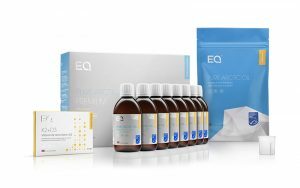 With this pre-paid set you will receive 8 bottles of EQ Pure Arctic Oil in one delivery because we recommend a double dosage of EQ Pure Arctic Oil during the first 2 months. Hence, you have 4 bottles for the first 2 months and 4 bottles for the rest 4 months of Premium subscription. Set also includes 2 Omega-3 Test Kits to check your fatty acid balance before using the EQ Pure Arctic Oil and after 5 months of usage. Besides that, you can measure the perfect dosage of EQ Pure Arctic Oil by using dosage cup included in the set. Also, here you will find EQ Travel Pouch with 15 sachets (10 ml) which you can take with you on holidays or share with somebody else. As a gift, we include the package of EQ K2+D3 vitamins for free. You can use 1 capsule per day for maintaining blood vessels flexible and therefore reduce the risk of developing hypertension and cardiovascular or circulatory diseases. 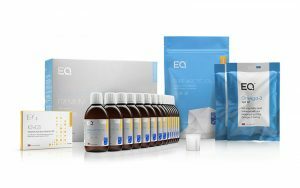 This Premium 6-months package differs by the amount of EQ Omega-3 Test Kits, only one is included with 6 months pre-paid subscription. 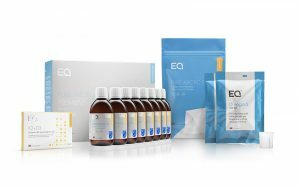 This Premium 6-months pre-paid set doesn’t include EQ Omega-3 Test Kits. With 12 months subscription, you receive 14 bottles of EQ Pure Arctic Oil in advance. 4 bottles are dedicated for the first 2 months of subscription as double dosage, and the rest 10 bottles are intended for the next 10 months of usage. Even more, in this particular set, you receive also 2 EQ Omega-3 Test Kits. 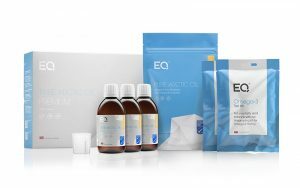 This Premium 12-months package includes 1 EQ Omega-3 Test Kit to be used in the 5th month. 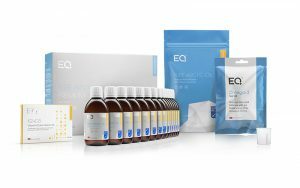 This Premium 12-months set doesn’t include any EQ Omega-3 Test Kits. Finally, choose your preferable Premium plan depending on the delivery type, period, amount of EQ Omega-3 Test Kits and go to the cart. Once you make the purchase, you can also order separate products from categories “Vitamins & Minerals”, “Lifestyle & Fitness” or even more. 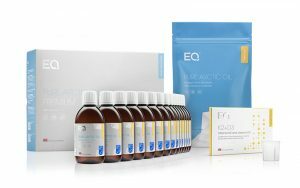 Furthermore, the same 25% discount will be for all flavours of EQ Shakes, EQ Shacai, EQ Anti Age Collagen, EQ Essential, EQ K2+D3, EQ Omega-3 and EQ K2 Test Kits, and even single bottle of EQ Pure Arctic Oil.